Secret Empire—which will see Steve Rogers’ recent double life as an agent of Hydra revealed to the wider Marvel Comics world—is the company’s next big comic event, and thus, it’s already touting range after range of variant covers to go with the series. But one in particular is causing a lot of anger: because it links Magneto to an organization he’s long detested. Late last week, Marvel’s solicitations revealed two different variant cover ranges for Secret Empire: Andrea Sorrentino’s “Hydra Heroes,” which sees heroes like Captain Marvel, Star-Lord, and the Hulk decked out in Hydra-emblazoned uniforms, and Dan Mora’s “Villains of Hydra,” a counterpart that focuses on various Marvel villains. 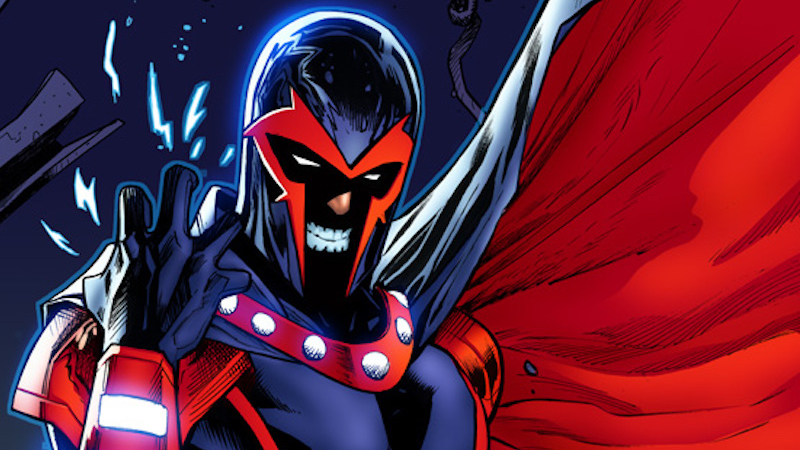 It’s the latter that’s caused Marvel’s latest controversy, because among Hydra stalwarts like Baron Zemo and Madame Hydra, Mora’s variants include one for the master of magnetism himself, Magneto. You know, the Jewish supervillain whose origin story features his nightmarish survival of the Holocaust at the hands of the Nazis. Nazis who are still intrinsically associated with Hydra as a fascist organization of terror, as much as Marvel has long attempted to distance the two over recent years. Despite his own parallels in his plight to see Mutantkind established as the superior species, Magneto has long harbored a seething hatred for the Nazis and thus Hydra, as the organization was founded by Baron Von Strucker and supported by supervillainous Nazis like the Red Skull for decades. Perhaps most famously to many comics fans, there’s a moment in Captain America #367—part of an arc where Loki forms his own Avengers equivalent of supervillains, including both Red Skull and Magneto—where Magneto, furious at the thought of having to work with a card-carrying Nazi, captures Red Skull and locks him in a fallout shelter with some water and no way out, as vengeance for the heinous acts Skull helped perpetrate during the war. The conclusion of Captain America #367. Words by Mark Gruenwald, art by Kieron Dwyer, Danny Bulanadi, and Steve Buccellato. Fans who were still stinging over Captain America writer Nick Spencer’s decision last year to turn Steve Rogers into a (Cosmic Cube-altered) agent of the fascist, Nazi-linked Hydra at a time when the hero was seen as more crucial to the pop culture landscape than ever before, naturally, were furious. Magneto, a Holocaust survivor, would seemingly be joining a regime that to many is still seen as Nazism in all but name. Fans have a right to be concerned—it’s definitely a strange look for Marvel—but what makes this controversy so strange is the fact that Mora’s cover doesn’t seemingly indicate anything to do with the plot of Secret Empire. They’re variant covers, which don’t often explicitly have something to do with the story they go with—for instance, the Heroes cover variants by Sorrentino almost certainly do not mean that Captain Marvel, Jean Grey, Totally Awesome Hulk, and Thor are also secret Hydra agents. Nick Spencer, who will also pen Secret Empire, hinted as much on Twitter today in a thinly-veiled response to the furor about the cover, indicating that Mora’s cover is simply a variant and not an indicator of Secret Empire’s plot. So we don’t actually know if Magneto will join this resurgent Hydra in Secret Empire yet. If he does join, we don’t know the circumstances—given that Stevil Rogers is trying to overthrow Red Skull and take control of Hydra for himself, it’s possible that Magneto would have a vested interest in partnering up to destroy his hated enemy. We don’t know how he or much of the Marvel universe will react to Steve’s revelations, because the story has yet to hit shelves and Marvel is remaining relatively tight-lipped about the event so far. Ultimately, we’ll have to wait until Secret Empire begins in April to see how all this goes down.